Svetlana gives Masterclass for Trans - Siberian Art Festival for their Educational Project “Simply meet the Star”. Great Pianists Of The World Steinway Recital Series. 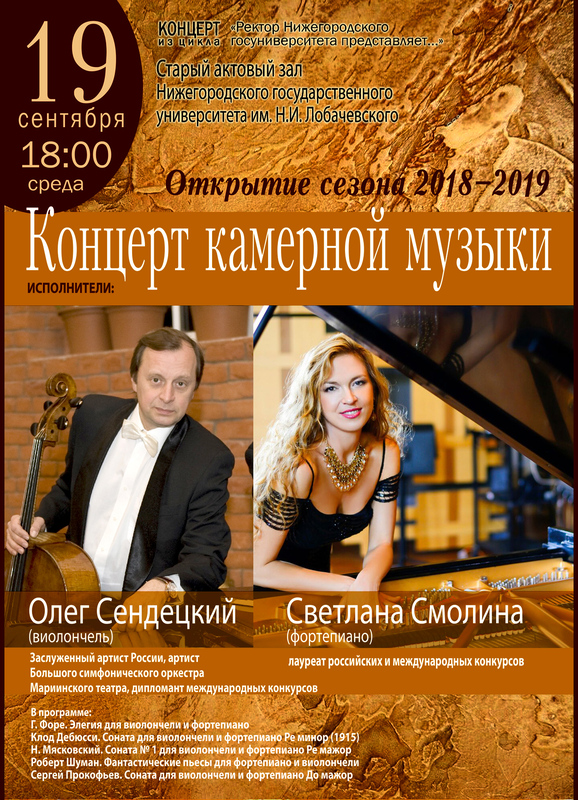 Duo recital with Oleg Sendetsky, Honored Artist of Russia, Mariinsky Orchestra Principal Lobachevsky State University Hall.